Whether you’ve never popped the latch or you’re a seasoned DIY vet, there’s always a lot at stake under the hood of your car. So when you have to take matters into your own hands, make sure you do so with the best. 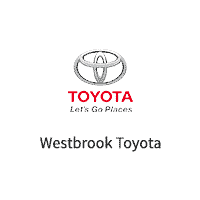 We only stock genuine Toyota parts, so manufacturer-recommended quality is a guarantee. And let’s be honest: your car deserves nothing short of perfection. Already know what you’re looking for? Contact Us or simply fill out our order form online, then swing by, pick up your parts and get right back to work. It couldn’t be easier.